Even if the appearance of the Spectacles isn’t your favorite thing in the whole world, that’s really not what this product is all about. 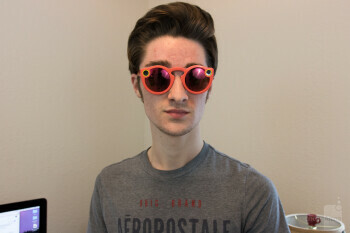 Even though I personally enjoy the bright and in-your-face look of the glasses, the real star of the show has to do with the built-in camera. While wearing Spectacles, starting the whole video capture process is as easy as pressing the button on the left side of the frame. 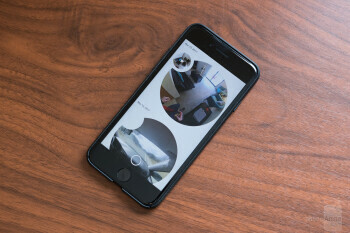 This will start recording video for 10 seconds (the maximum amount of time that a video Snap can be), but you can also double or triple tap the button to record 20 and 30 second clips as well. 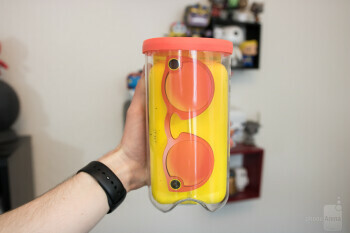 As you’re recording a video, a light on the inside of the glasses will start blinking when you have two seconds to go before your recording stops. Once you see this blinking and decide that you’d like to keep rolling, you can press the button once more to keep recording for another ten seconds. You can do this twice if you initially start a 10-second clip, and once if you start out with a 20-second shot. Some people are rightfully uncomfortable with the idea of folks wearing cameras on their faces, but Spectacles are very approachable in the way that they tackle this. The LED ring opposite of the camera dances around in a circle whenever you’re recording a video, and this does a good job at letting people around you know that you have started recording. 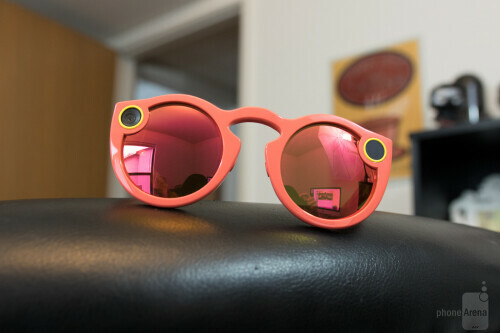 You’ll definitely get some weird looks when bystanders see that part of your sunglasses are moving, but the video capture process is undoubtedly much friendly than what we saw a few years back with Google Glass. Spectacles record video at a maximum resolution of 1088 x 1088 at 60 frames-per-second, or you can choose to upload a lower resolution to your Story at 704 x 704 at 30 FPS. Video is always captured at the higher resolution, and while the actual quality of the clips you record are simply okay, the big draw here is the point of view from which you capture it. 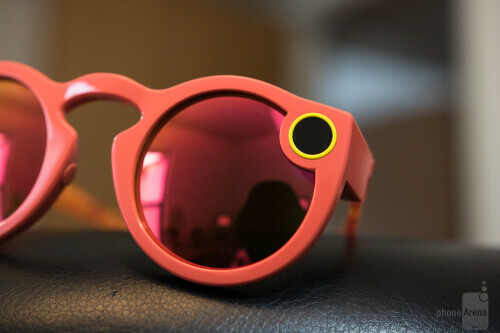 Since Spectacles are just a regular pair of sunglasses with a camera strapped to them, all of the video you capture with Spectacles delivers an awesome first-person perspective that you simply cannot get with any other gadget right now. The simplicity of pressing a button on your sunglasses and then being able to capture moments as you see them is surprisingly magical once you start messing around with everything. 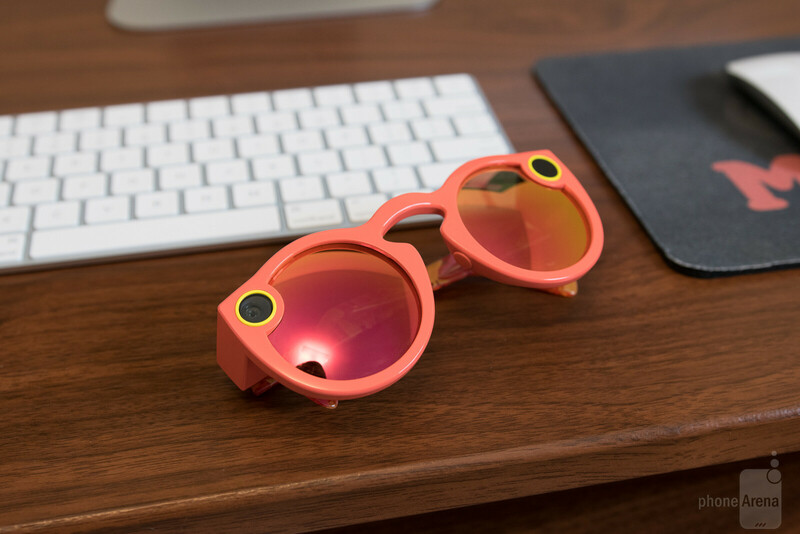 It would have been nice to be able to take still photos or record non-circular videos, but for a first-generation product, Spectacles does a wonderful job at allowing users to capture their day-to-day lives in a way that was previously impossible. As simple and awe-inspiring as it is to record videos with Spectacles, the magic quickly dissipates once you actually try to import everything that you’ve recorded. 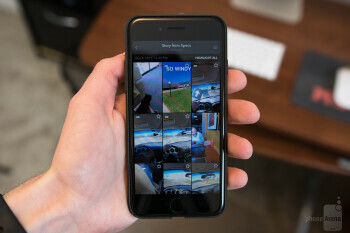 Once you’ve captured a bunch of different shots and want to upload them to your Story or send certain clips to friends, you’ll need to open up the Snapchat app and swipe up to the Memories section. 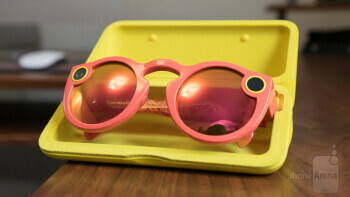 From here, you’ll see a tab that’s titled as “Specs.” This is where all of the video from your Spectacles are automatically uploaded, and they're organized into separate Stories by date. Tapping on a Story will start to automatically play the videos from that day in the order that they were recorded. 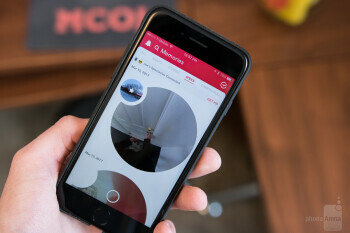 From here, you can swipe up then swipe left and right through all of the Snaps from that day, delete a certain video, export it to the platform of your choice, edit it with Snapchat’s heap of filters and tools, add it as a highlight for that Spectacles Story, and upload it to your main Snapchat Story or send it to a friend. As if those weren’t enough options, tapping on the hamburger icon in the top right will provide access to similar controls and give you the ability to view your recordings as thumbnails, rename the title of your Spectacles Story, and move certain clips to the My Eyes Only area of the app. 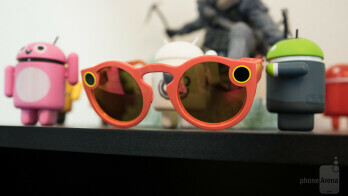 On iOS, videos transfer from Spectacles to the Snapchat app by default in Standard Definition over Bluetooth. The process is fairly seamless if a bit slow, but snagging the HD versions of your recordings is more of a headache than it needs to be. In order to achieve this, you need to tap on the “Get HD” button and then select which Story you want to grab in that higher resolution. 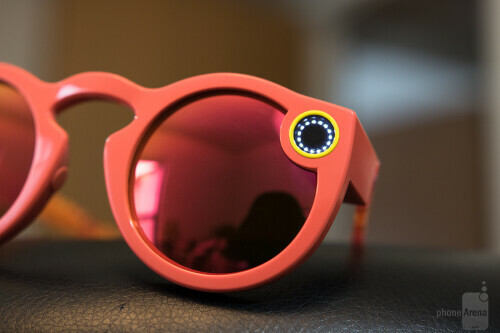 This will then turn on the Wi-Fi chip inside of your Spectacles and then prompt you to connect to it through the settings of your iPhone. It’s a horribly bulky process, and the transfer times for these clips take even longer than their SD counterparts. Once those videos do finally get uploaded, however, they look really slick. 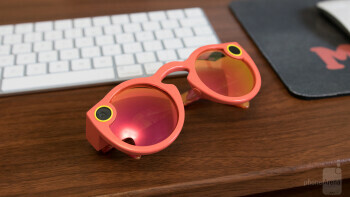 Spectacles always records circular videos, and exporting and viewing things you’ve captured from them on Twitter or other social networks will showcase the entire circular video with a white background around it. The appearance of videos here is cool, but watching them within Snapchat is especially awesome. Videos fill up the entire screen of your phone, and this is because your phone’s display is essentially a rectangle within the circular video. 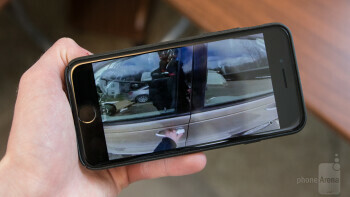 Turning your _phone_ around will provide you with a slightly different view of the video you’re watching, and while this does mean that you’ll never have a complete view of the video when playing it back in Snapchat, the sleekness of how it works is truly something to behold. 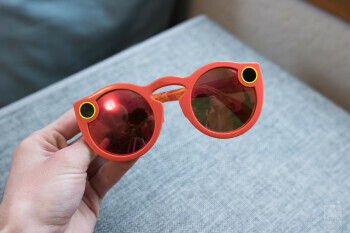 Snap Inc. hasn’t officially said what the exact size of the battery inside Spectacles is, but I personally never found any issue with the stamina that they kick out. 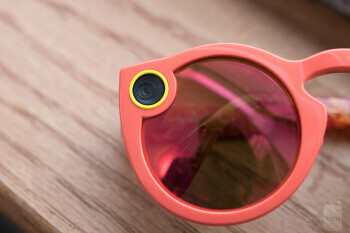 Spectacles are able to record around 100 ten-second video clips before needing to get charged up, and placing them inside of the included the case will top them up via the magnetic pin connector. 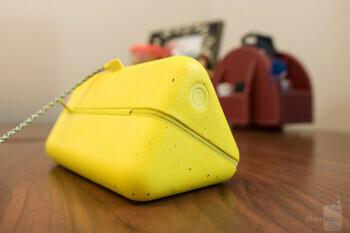 The charging case is capable of holding four complete recharges, so with a full battery on both the Spectacles and the case, you’re looking at around 500 videos you can record before you’ll need to search for a wall outlet. 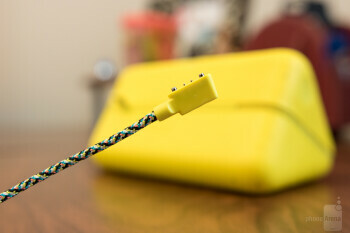 Both the Spectacles and their case can be topped up through the included charging cable, but since Spectacles are also charged while inside their case when it’s plugged in, I never bothered trying to connect the Spectacles to the cable directly. I wouldn’t necessarily call the battery life here amazing, but I think Snap provided ample juice and a simple enough way to recharge so that this won’t be an issue for most people. 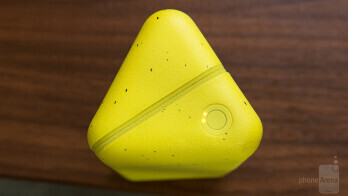 Should you shell out $130 for Snap’s first piece of hardware? This is a question that comes with a lot of variables. 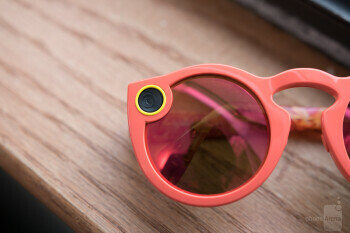 If you’re someone who doesn’t get on Snapchat that often and you don’t like the idea of shelling out over a hundred dollars for a pair of glasses that feel as if they should cost about $20, this is not that gadget for you. However, if you’re someone who is quite familiar with the iconic white ghost and are dying for a tool that will allow you to preserve life’s moments in a way that previously couldn’t be done, Spectacles are well worth the price of admission. Spectacles are riddled with flaws here and there, but those flaws have yet to be reason enough for me to not enjoy using these things. Spectacles allow me to capture and share the daily happenings in my life as I see them through the simple touch of a button. This is something I’ve been waiting for to be perfected ever since I first got my hands on Google Glass, and although Snap’s first implementation isn’t entirely flawless, it’s a huge step in the right direction.